Be a part of the most respected awards programme in the region! With each Gala Dinner playing host to the real estate elite, sponsors of our exclusive events are exposed to highly engaged audience of decision-makers and given the opportunity to make valuable contacts and increase sales. Sponsoring the PropertyGuru Asia Property Awards offers leading brands and businesses a unique event marketing platform. Sponsors and partners will be associated with a high-profile event, established over a decade ago, with strong regional and international recognition. They are proud to have their name associated with the PropertyGuru Asia Property Awards because the entry and judging process is transparent, ethical, credible and free from conflict of interest or external influence, ensuring that only the best companies and developments succeed. All sponsors benefit from an extensive pre-event media campaign, encompassing web, print and broadcast to ensure that they are strongly associated with the awards ahead of the Gala Dinner and Presentation. 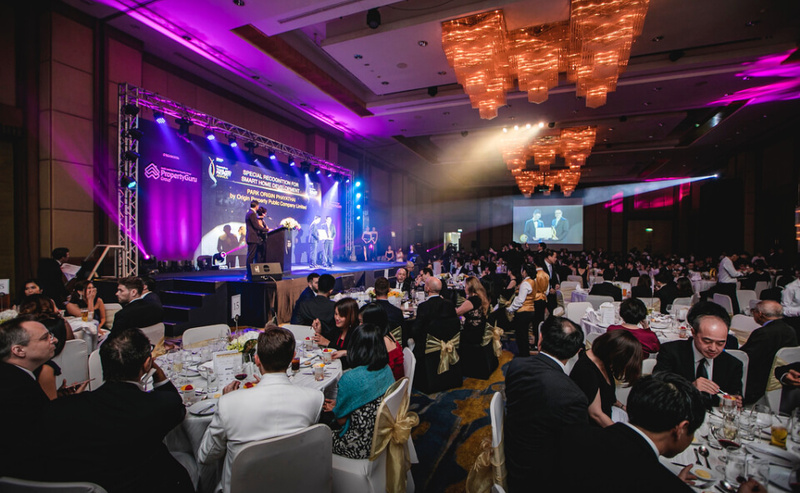 PropertyGuru Asia Property Awards Gala Dinners are held at exclusive five-star hotels and attended by CEOs, senior executives and leading players in all sectors of the Asian real estate industry. With 1.5 hours of pre-dinner cocktail networking, logo and display exposure, award presentation and gift opportunities, the Gala Dinner gives sponsors exceptional opportunities for brand association. For more information on how your brand can reach Asia’s leading developers, architects, interior designers, investors, consultants and agents, please contact our regional sponsorship manager, Kanittha “O” Srithongsuk at kanittha@propertyguru.com or call +66 87 708 5237. Align your brand with the PropertyGuru Asia Property Awards – the highlight of real estate calendars across the region. Get in touch today!